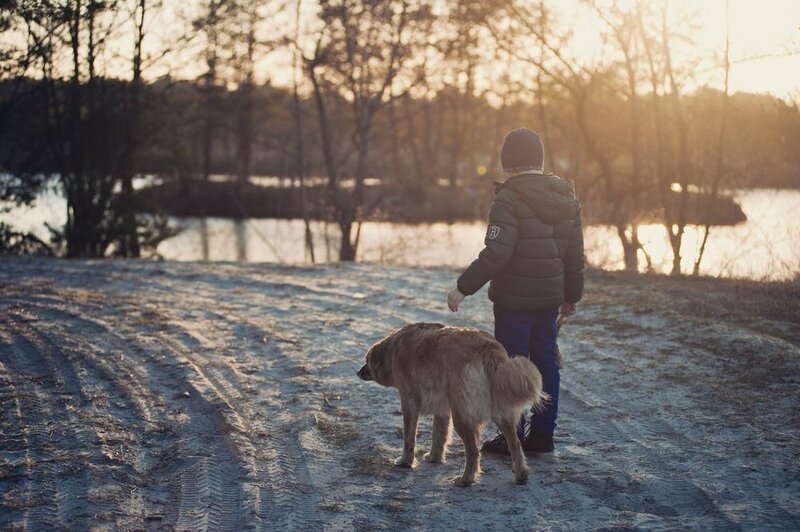 During those blistering hot summer months, we see a LOT of information on summer safety around heat and vehicles for pets - but winter safety is just as important! When the snow starts to fall and temperatures drop here in the Comox Valley, there are unknown dangers that can damage your pet's health. Spring isn't here quite yet - take care of your BFF with these four key winter safety tips. Winter can be harsh on your pup's paws. Rock Salt and antifreeze are two of the many dangerous chemicals found on asphalt and concrete surfaces that can irritate your dog's paws. Take care of your pet’s pads by towel-drying and cleaning their feet when they come inside. If you notice your dog stepped in salt, rinse the area as soon as possible. To prevent cracking and bleeding of the pads, trim the fur around your dog's toes and pads to help keep them clean. You can also use dog boots to protect your dog's feet and keep them warm! Don’t be fooled by your dog's fur coat, it isn’t always enough! All types of dogs are vulnerable to extreme temperatures, especially older dogs, new puppies and dogs with short hair. Remember, keep your dog dry and warm by purchasing a coat and towel-drying your dog off after being outside. Similar to the summer, it is important to not leave your dog in the car in chilly weather for a long period. Vehicles trap the cold and can drop to dangerously low temperatures. Be smart and treat your dog like a human. If you would be too cold to sit in your car for an extended time, so is your dog! During the winter months, it is important to keep your dog close and make sure they always have their ID tags and collars on. Keep your dog in sight and opt for on leash walks to ensure your dog is safe. If your pup gets lost during winter months, there are more dangers like frostbite and the potential of falling through the ice. Lastly, be aware of any noticeable changes in your dog's behaviour and keep your dog warm and safe all year around. If you’re looking for more tips on winter safety, give us a call at the clinic, and we would be happy to help and recommend our best practices. Older PostWhat is Kennel Cough and How Can I Protect My Dog?